Former Nissan chairman accused of concealing income. Nissan Chairman Carlos Ghosn was still running the show when he appeared at a news conference at the Paris Motor Show in October. Things went from bad to worse for the long-time head of the Renault-Nissan-Mitsubishi Alliance on Monday, prosecutors in Tokyo formally charging Carlos Ghosn with financial misconduct in a scandal that has rocked the global automotive industry. Ghosn, along with Nissan board member Greg Kelly, were arrested on November 19th after their corporate jet touched down in the Japanese capital and immediately taken to the Tokyo Detention Centre where they have been held in solitary ever since. Ghosn, in particular, has not been accused of hiding about half of his $88 million income during a five year period beginning in 2010. He may face additional charges related to more recent years, according to Japanese media reports. If found guilty, the executive who was given credit for saving a nearly bankrupt Nissan in 1999 could face up to 10 years in prison, a 10 million yen, or $89,000, fine, or both. Nissan, however, could also face potential penalties as high as 700 million yen, or $6.2 million, for failing to catch the alleged scheme. 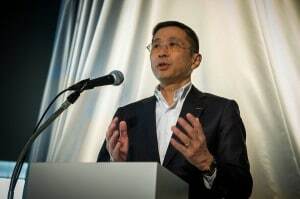 Ghosn was brought down by an internal investigation triggered by what the company’s CEO Hiroto Saikawa described as a whistleblower. 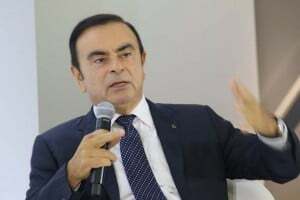 But there have been many questions raised about the scandal, including concerns that the once high-flying Ghosn has actually been caught up in a push by Saikawa and other Japanese leaders to free the carmaker from control by France’s Renault which funded the original bailout. The scandal has also thrown a spotlight on Nissan CEO Hiroto Saikawa and his future. Renault currently holds a 43.4% stake in the Japanese automaker, Nissan holding a 15% stake in its French partner. The lopsided arrangement allows Renault to appoint Nissan board members and executives, as well as the head of the three-manufacturer alliance. Nissan has pushed back in recent years and, shortly after Ghosn’s November arrest Saikawa outlined some of the changes he hoped to see, including the elimination of Renault’s unilateral right to name those board members. Japanese reports have noted that Saikawa, who was selected by Ghosn to become his replacement as CEO of Nissan, was himself facing serious problems before the scandal broke open. Several senior-level sources who have spoken to TheDetroitBureau.com confirmed that Saikawa was facing the possibility of being fired. One of the questions repeatedly raised by observers is how Nissan could have missed Ghosn’s alleged misdeeds before a whistleblower brought them to company attention. Top-level management’s pay is typically a subject for board approval and details of financial statements made in government filings and annual reports are normally subjected to close scrutiny by corporate accountants and lawyers. Among the other allegations leveled against Ghosn, Nissan claims he improperly used corporate funds for such things as purchasing homes in both Rio de Janeiro – near where the executive grew up – and Beirut. Ghosn is of Lebanese descent. Even though he has been in detention for nearly a month, a Brazilian court has given Ghosn – or his representatives – access to the Rio home. Nissan said it is taking steps to reverse that decision, however, raising concerns that potential evidence could be removed or destroyed. The automaker has been struggling to save face in a home country that has been hit with a number of corporate scandals in recent years. Nissan itself is still coping with acknowledged rigging of fuel economy numbers for vehicles sold in that country. “Making false disclosures in annual securities reports greatly harms the integrity of Nissan’s public disclosures in the securities markets, and the company expresses its deepest regret,” the company said in confirming it also faces potential penalties. Prosecutors, however, did not file charges against Nissan on Monday and did not indicate if they might later do so. The handling of the case “just seems strange,” said Aubrey Harwell, the lead U.S. attorney for Nissan board member Kelly earlier this month. Kelly stands accused of assisting Ghosn in making his alleged false statements. 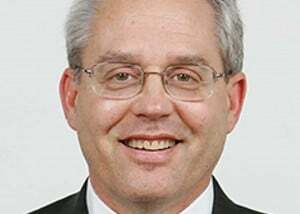 He contends that he acted legally, said Harwell. Along with now being indicted, Ghosn has been removed as chairman by both Nissan and Mitsubishi. He was also temporarily removed as CEO by Renault though could reclaim that post if subsequently freed. He remains the head of the Renault-Nissan-Mitsubishi Alliance. This entry was posted on Monday, December 10th, 2018 at and is filed under Automakers, Executives, Investors, Lawsuits/Legal, Mitsubishi, Nissan, Personalities, Renault. You can follow any responses to this entry through the RSS 2.0 feed. Both comments and pings are currently closed. “Ghosn, in particular, has not been accused of hiding…” So what was (or is) he accused of?